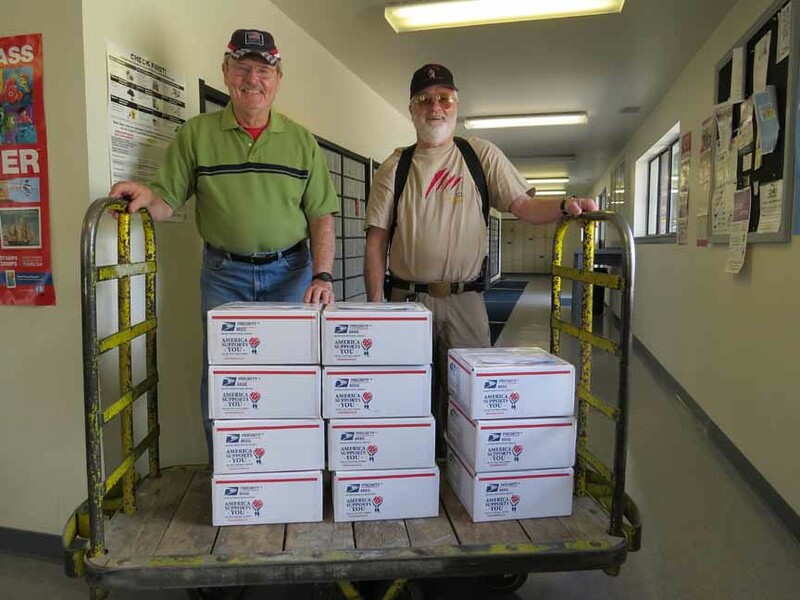 Thanks to the generosity of our mountain community, TSAC was able to ship 11 APO Flat Rate boxes off to Afghanistan on Friday, 7 June, 2013. TSAC is currently supporting two Army units still conducting operations in the "danger zones" of that country. This shipment weighed in at 135 pounds and contained snacks and comfort items. All of these items were donated to TSAC at our collections at King Soopers and into our colorful "Support Our Troops" boxes at King Soopers and Safeway. The funds used for postage are from donations at these collections and at events such as the latest Rhubarb Festival. 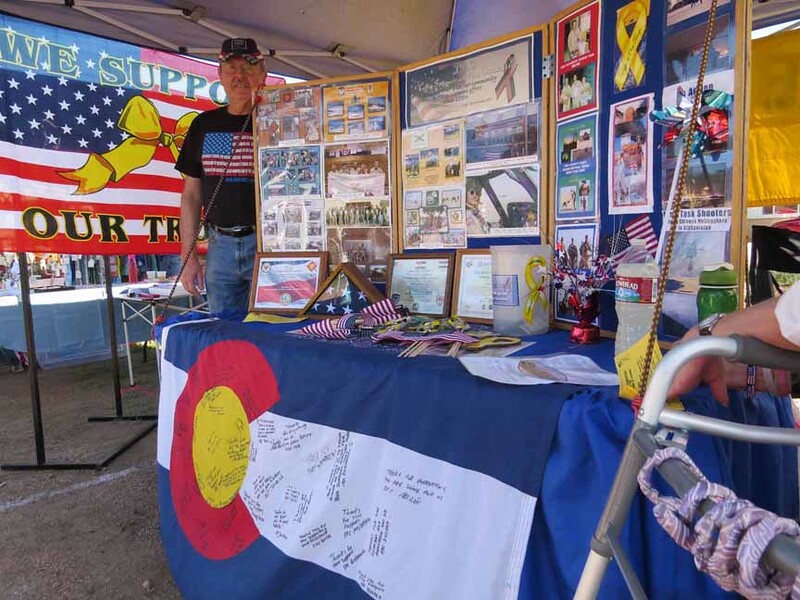 TSAC will have a booth at Bailey Day and will display our "Wall of Heroes" and be available to explain just what TSAC is doing. Please come down to Bailey Day and stop by to see us. Good job! Now they need us more than ever as support staff is being drawn down. I have to agree with Delta. As we draw down, the bad guys are going to get one more lick in on us. (or more.) And as we draw down, the troops won't have as much support as other units depart and create gaps in protection.